Since 2007 Clear Sky Medical has been serving the Denver area with integrative medical care. 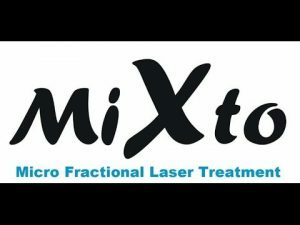 For a number of years we have offered MiXto Fractional Laser treatments in our Medical Aesthetics program. The micro fractional CO2 laser optimizes traditional CO2 treatments by producing microablative columns of injury to the tissue while preserving untreated skin in between spots. This promotes rapid healing of the tissue and long-term collagen remodeling. Our micro fractional laser can be used to effectively treat skin laxity, deep wrinkles, fine lines, discoloration, sunspots, acne, trauma scarring, and stretch marks. 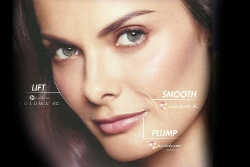 Each treatment is tailored to a patient’s individual needs and treatments are safe and effective for many skin types. The procedure can be performed on numerous areas of the body including the face, neck, chest, hands, arms and abdomen. To learn more about MiXto you can visit their homepage here. We hold a unique position in the Denver area as being a fully integrative care provider. From our family practice to our Medical Aesthetics services we offer services that help you feel good on the inside and outside. Anti-aging medicine involves a combination of nutritional help to balance your hormones and body systems as well as other treatments to help you feel good about yourself, and it takes a doctor with the right experience to look at all your systems. Dr. Katia Meier founded Clear Sky Medical and gives each patient special attention and in-depth analysis to find out how to optimize your life. Before recommending MiXto treatments or any other treatment we thoroughly look at your needs and unique body system to find out which of our Medical Aesthetics treatments would work for you. Call us for a consultation and find out what is possible!